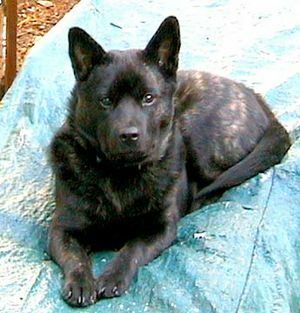 The Kai Ken dog is also known as the Tora Inu or Tiger Dog. This medium sized dog originates from Japan where like most of Japan’s dogs, is a national treasure. The Kai Ken dog is considered to be the most ancient, and purest dog of Japan. This breed was developed in the Kai district of the Yamanashi Prefectures for hunting boar and deer. This hardy breed was very adept at tracking its prey across mountains, through rivers and even up trees. The Kai Ken dog was designated as a national monument in Japan in 1934. Some believe that the Kai Ken dog was introduced to the United States in the early 1950’s while others believe it was much later, 1990 in fact. The Kai Ken dog is a medium sized dog with a wedge shaped head and small prick ears. They are generally 17-20 inches at the shoulder and weigh about 30 – 40 pounds. 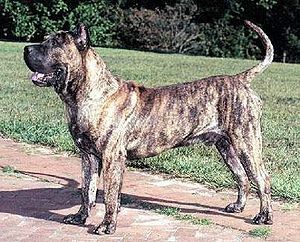 The Kai Ken’s coat is medium in length and generally black or brindle in color. 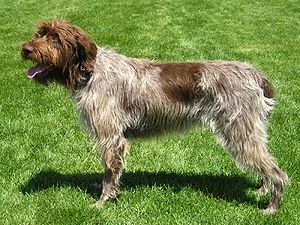 Like many Japanese breeds they have a double coat and shed about once or twice year. They have a long muzzle and erect ears. Puppies are born a solid color and their brindle markings develop with age. Sometimes it takes up to five years for the brindle to fully show. The average lifespan for the Kai Ken dog is anywhere from 12 to 15 years. Because the Kai Ken dog is a double-coated breed, it needs to be brushed and combed regularly. This breed is odorless and very clean. The Kai Ken dog can be a good apartment dog, as it adjusts well to small living spaces, however they need daily exercise to stay in mental and physical shape. The Kai Ken dog is very intelligent, agile, alert, brave and very loyal. Because the Kai Ken dog was bred to hunt they make excellent guard dogs. They are reserved with strangers but very loyal to their families. Kai Ken’s are generally very good with children. They get along very well with other pets if they are raised alongside them. The Kai Ken dog are devoted family dogs and require a fair amount of love and attention in order to be happy. They do best with the family as an inside house dog. It is very important to socialize your Kai Ken as a puppy and well into adulthood. This breed needs to be exposed to many different people, places and sounds to make them a well adjusted pet and not fearful or timid. 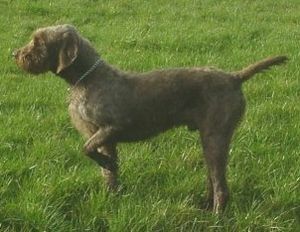 This breed is very easy to train as it is highly intelligent. Kai Ken dogs respond best to positive training methods.